CLICK ANY PHOTO and follow the link to our Big Commerce Store. We are currently building a t-shirt design software script right into our site. Until then, click a photo to go to our store. 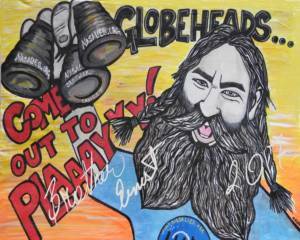 Brother Ernest can print or produce your image on over 1,150 items. 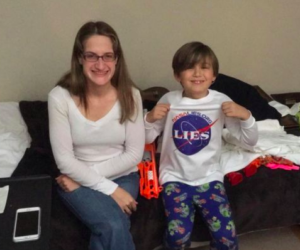 Donate to NASA LIES, INC and receive your t-shirt made by flat-earthers. 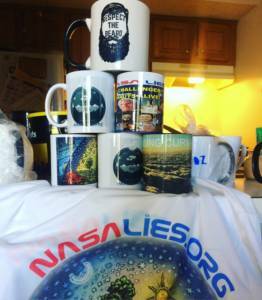 You may donate to NASA LIES, INCORPORATED and any donation funds the operational expenses of the President of NASA LIES, INC. At no point are you buying any merchandise, you’re simply making a donation to NASA LIES, INC or Brother Ernest directly. Brother Ernest is the one making all of these lovely items. We actually have a merchant account and the storefront is being built with over 250 products related to the Flat and Stationary Earth and NASA Lies. Be patient and we will get it loaded. 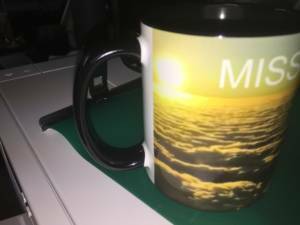 10-ounce white mugs with the same image on the mugs for a donation $15.00 plus shipping. All Items are sent in about 3 days after payment. NASA LIES will print the items live on Facebook or Youtube or this website. 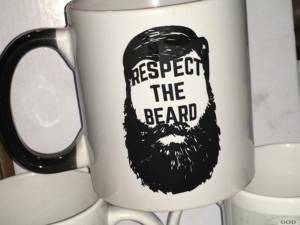 See the bearded or the Hebrew Shoel mug for examples of a 1 image on 2 sections of the mug. The Glory of the Creator mug below is 10 oz white mug of one color. The Glory of the Creator can be shipped for a donation of $20.00 plus shipping. If you want a color mug of the Glory of the Creator cup it is a $25.00 donation because of the multiple colors. 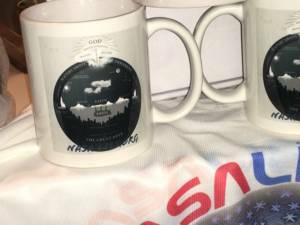 Full wrap mugs like the Missing Curvature have 3 sections that are printed on and the 10-ounce mugs can be received for a donation of $25.00. Everyone loves our fully printed mugs. 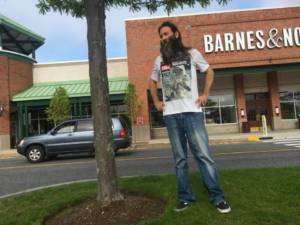 On-demand t-shirts printed by Brother Ernest are printed for a $35.00 minimum donation. Any donation above this amount is appreciated for an 8.5X11 print on a white or dark garment. You can’t go wrong with our standard LIES t-shirt. HURRY UP AND GO TO OUR STORE! © all rights reserved 2017. 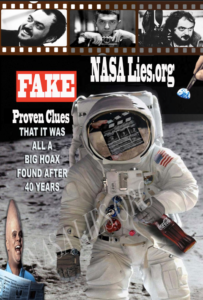 NASA Lies.org is home to the non-profit organization NASA LIES, INC. 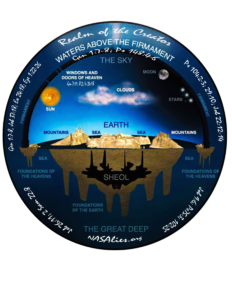 The Earth is Flat and Stationary.